A collection on my favorite recipies with simple instructions, to make amazing delicious healthy food. 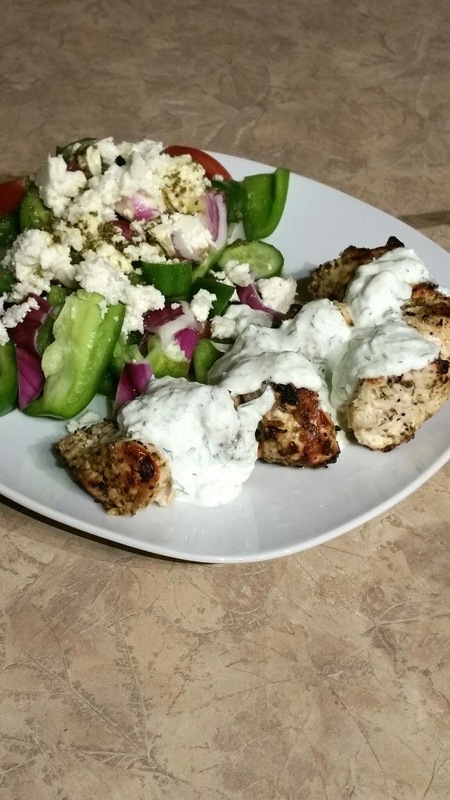 Greek is easy healthy and delicious marinate your chicken for at least an hour but overnight is best. Grill until cooked through. I like to touch my food to see if it's done when the meat feels firm it should be cooked. Grill on high heat or cook in a hot pan woth a little oil.